Today I am writing a special post about Wellness and Mindfulness in Hotels around the world! From cooking classes to Ayurveda retreats, I got you covered! My plan is to keep updating this list! I haven’t personally experienced any of the below activities, but they all look incredible! Healthy Cooking Classes at the Four Seasons Westlake Village, in Los Angeles, California, in the United States. The Four Seasons Westlake Village, in California, and the California Health and Longevity Institute (CHLI) offer Hotel and local guests cooking classes at the Wellness Kitchen led by a Registered Dietitian-Chef, and prices range between $65 are $95 per person, depending on the type of class. The team at the CHLI also organizes grocery store tours, metabolism assessment and programs for groups. Wellness retreat and alternative therapies at Asaya, in the Rosewood hotel, in Phuket - Thailand. Rosewood created a spa experience in Phuket, Thailand, at Asaya: you can book a personal consultation with Asaya’s resident wellness practitioners to define a customized treatment that works for you. Asaya offers alternative therapies, massages, and classes (yoga, meditation, among others), but what caught my attention the most were the wellness programs, that last from 1 to 14 days, and combine mindful eating, fitness, and alternative therapies to help you achieve your goals. Rosewood wants to expand Asaya to other locations - let’s hope it comes to the United States soon! To check their brochure, click here. Wellness Retreat at the Mercure Goa Devaaya, in Goa, India. 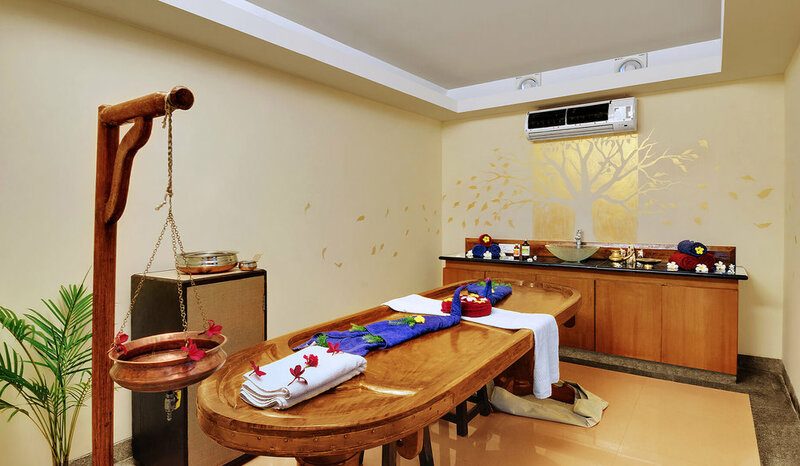 The hotel offers a range of Naturopathy, Ayurveda, and Yoga treatments available for guests. I was curious to understand more about Naturopathy and according to the hotel’s website, it is “A combination of diet, exercise, massages, mud and hydro therapies are used to rid the body of toxin build up and help it heal from within. And, as an interesting fact, all the Ayurveda treatments are are conducted in an authentic mud and thatch hut. Detox, Retox, Repeat FUEL Weekends with W Hotels, in multiple locations. I work for Marriott International and one of the most exciting things I have seen recently were the FUEL Weekends, organized by the W Hotels. They recently announced the 2019 line-up of the FUEL Weekends, which, according to the press release, are “fitness-focused vacation packages that combine celebrity workouts, killer parties, delicious and healthy cuisine and unforgettable adventures all at one stunning W destination”. Save the date: W Costa Rica – Reserva Conchal (Feb. 28 – Mar. 4); the soon-to-open W Dubai – The Palm (Apr. 11 – 14); W Koh Samui (Jun. 20 – 23); and soon-to-open W Aspen (Aug. 23 – 26) and W Muscat (TBC). Check why the Fuel Weekends are the best vacations for the fitness fanatic and world traveler here. Sunset yoga in Koh Samui. Photo from W Hotels website here. The post on this site are my own and do not necessarily reflect those of Marriott International.